We are giving away two $1,000 scholarships again this year to our young members! One scholarship will be awarded to a high school senior; the other to any college student. Applicants MUST be a member. Not a member? Set up an account today! Here at Chadron Federal Credit Union, we are commited to serving our community by providing excellent financial services. We are not for profit, not for charity, but for service. 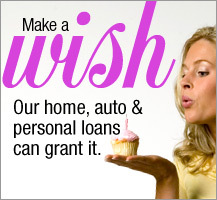 We are dedicated to helping you reach your financial goals. If you wish to see how we can improve your banking experience, or are currious to learn more about us and what we do, visit our office or look around our website! Anyone who lives, works, worships, attends school in Dawes, Sheridan, and Sioux Co, or any employee of the Union Pacific Rail Road (western division), qualify for membership! 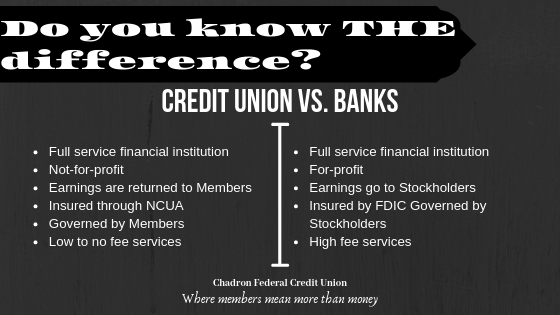 You can also qualify for membership if a family member is currently a member of Chadron FCU. Chadron FCU offers E-statements! Generally, paper statements can take up to two weeks to reach members. E-statements are a free service designed to get members their statements faster! 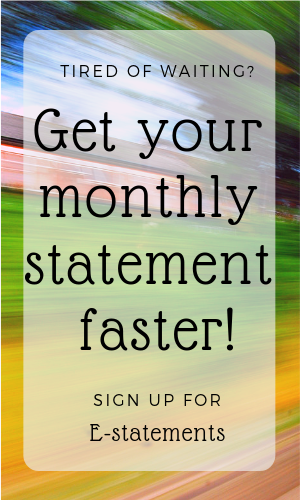 Simply elect to receive your statements via E-statements and you will receive your statements in the first few days of the month!